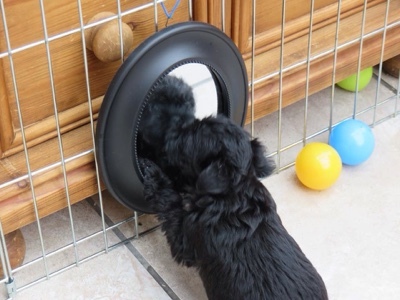 Puppy Culture puppies are raised from the earliest days with little challenges to develop their brains and kick start their development all round to be strong and healthy. Here I am getting my toes tickled with a Q tip at a few days old. 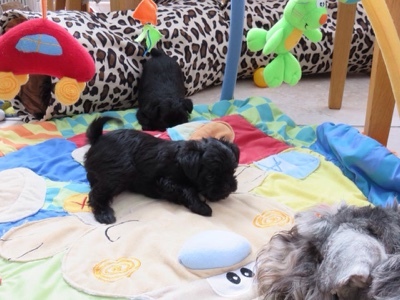 Once we are old enough at about three weeks, we move out of our whelping box with our Mum and have a day time play (and sleep) in a playpen with lots of toys and get a chance to meet the other dogs too. 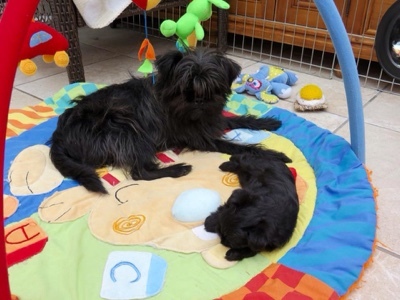 This is me with my Uncle Raven watching over me while I have a little snooze on the play mat. 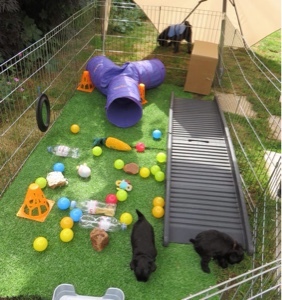 We have an outdoor play area too with lots of exciting toys, a bridge, tunnels, balls, cones and a chance to sniff the grass and get to know the outside world of the garden. 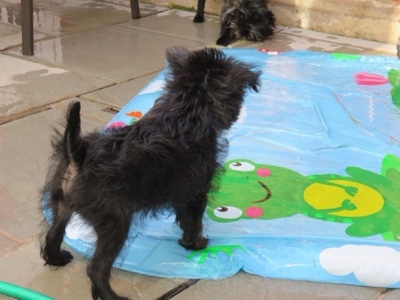 This is my brother Danny testing out the splash mat which has little fountains of water coming up. 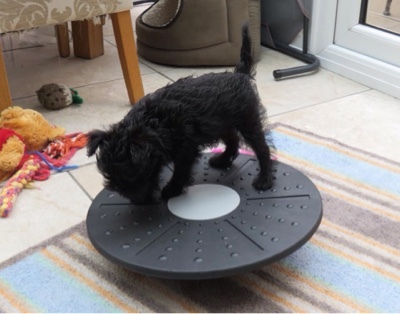 And this is Danny trying out the wobble board to test his core strength! 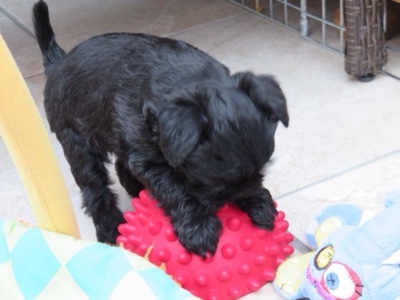 And me trying to see if this spiky ball is good to chew. 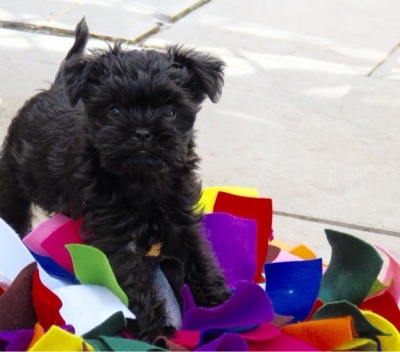 This coloured snuffle mat was fun to dig about in looking for treats. 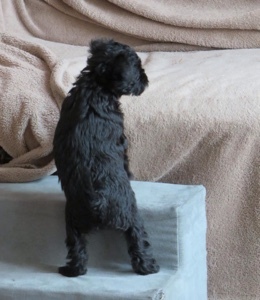 And I really loved using Crybbe's steps to make my way up to the sofa. 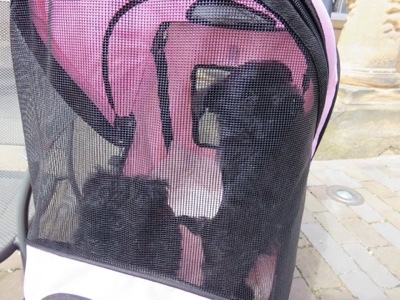 By the time we reached six weeks old, we were going out and about in the pet buggy to see the world from our special chariot. It was great fun although we would have liked to climb out too! So that is just to give you a little look at the kind of things we enjoy as Puppy Culture puppies. 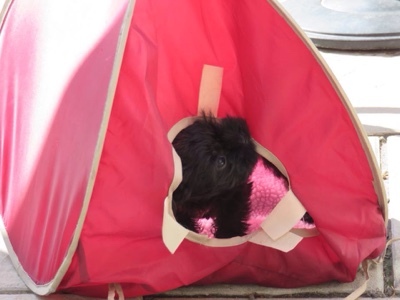 Our peeps say it helps us pups to grow up confident and ready to take on new challenges and enjoy life with whatever family we go to live with. 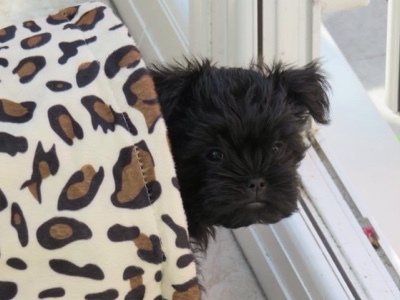 Me and Danny are still enjoying life with our family right here but some of the pups born here go to live with other carefully selected peeps and have a great time with their new families. 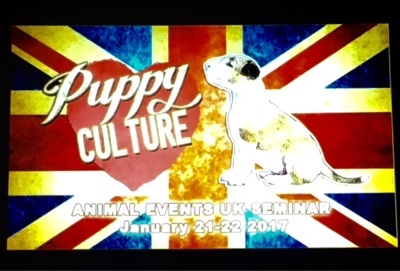 If you want to know more about Puppy Culture have a look at their website - it is super interesting. OMD what a GRRRRRRREAT start to a BRIGHT future. We love it. That is some wonderful stuff that yous got to play with and explore when yous were tiny baby puppies! What a great start to life! 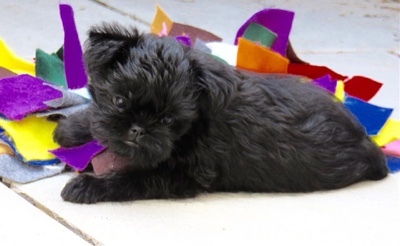 we love seeing the great start you had as puppies!!! OMCs/OMDs Moth these are adorable....mom is smiling from ear to ear. Baby puppy pictures. They are all so cute You were a very cute puppy and you are a beautiful dog. Oh Moth that tickling of the hair in my toes drives me crazy ~ I just kick and kick my feet when Lee does that to me. You are so lucky to have a family that had great guidelines. And I still love that you are named after a fairy.